As i get off my grave yard shift ( 7pm to 5:30am). 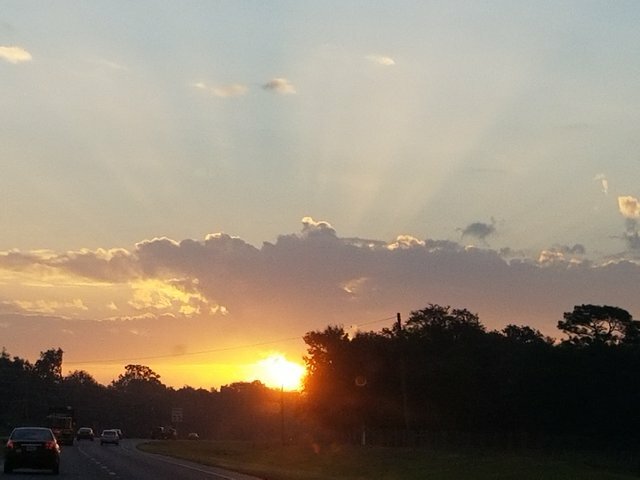 I make my hour drive home. 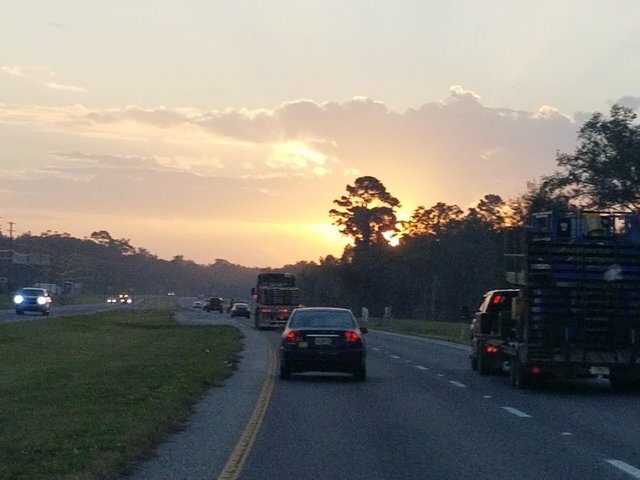 And today on this cold day in Florida(30°) i seen this #beautiful #sunrise and couldnt help but try my luck at getting a picture. Its nothing like the sunrises on #maui but its still beautiful and something to always be greatly appreciated. Lovely weather. Enjoy it while it lasts! U two are crazy @wolfhart and @trincowski 30° degrees is freezing 😆 im use to 89° and 90s it better not get any colder then this. By the way, 30° is very hot for us Europeans. 90° is absurd. Water boils at 100° on this side of the ocean. You have some great weather there. Congratulations! This post has been upvoted from the communal account, @minnowsupport, by aloha-creations from the Minnow Support Project. It's a witness project run by aggroed, ausbitbank, teamsteem, someguy123, neoxian, followbtcnews, and netuoso. The goal is to help Steemit grow by supporting Minnows. Please find us at the Peace, Abundance, and Liberty Network (PALnet) Discord Channel. It's a completely public and open space to all members of the Steemit community who voluntarily choose to be there. Your UA account score is currently 2.444 which ranks you at #17283 across all Steem accounts. Your rank has improved 223 places in the last three days (old rank 17506). 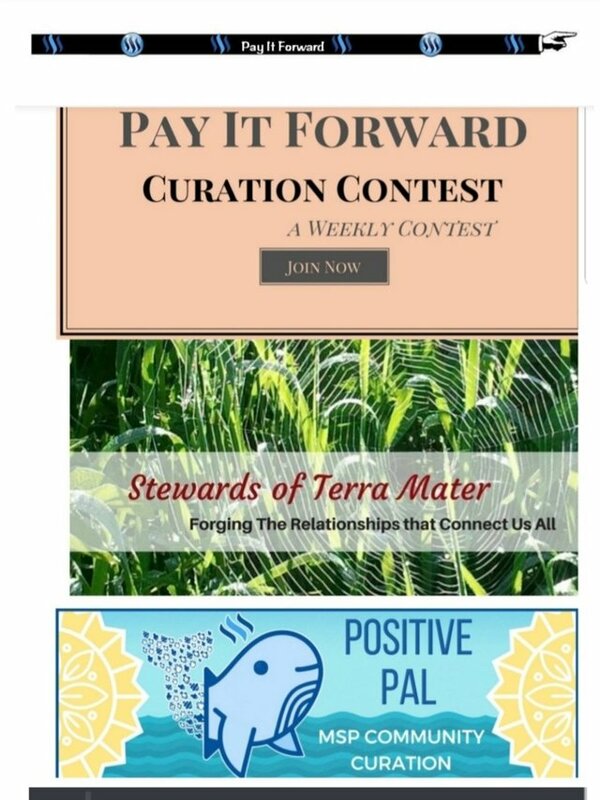 In our last Algorithmic Curation Round, consisting of 277 contributions, your post is ranked at #204.